Hello and welcome to my second creation for the Pootlers Design Team. 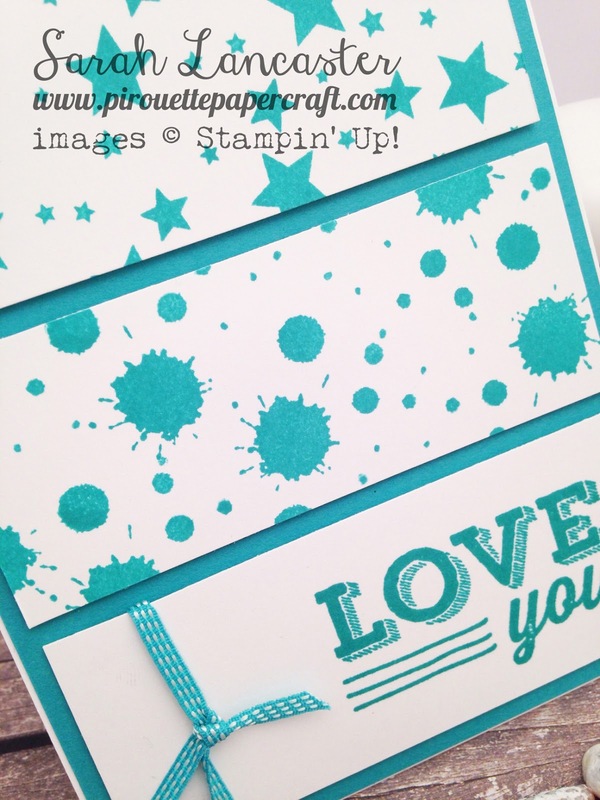 This week I have a Clean & Simple one color card to share with you, again using the Friendly Wishes stamp set. To be honest I am feeling a little lost this week as my eldest son is on a school trip and I have the additional worry of him being Type 1 Diabetic AND he celebrated his birthday on Tuesday away from home !! And he loved it and proudly showed his friends too - who were very impressed. I recently created another one color card using the Grateful Bunch set, you can watch my video here. Thanks for joining me today, pop back on Saturday for another Sneak Peek of the new catalogue items with a video tutorial. Love this card Sarah, love how the colour really pops. Sure your son will love it when he sees it.